Join us as we present comicdoms first hero Buck Rogers... the first man out of time... the first man to be taken out of his present environment and put into the future!In the tradition of such best-selling introductory Dynamite launches as Red Sonja and Battlestar Galactica, Dynamite is launching the all-original #0 issue for just 25¢! Under a John Cassaday cover (Cassaday serves as series cover artist), writer Scott (Batman) Beatty and artist Carlos Rafael present an original 12 page comic book adventure - The Death of Buck Rogers! 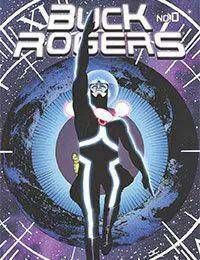 This is where it all begins and Dynamites plans for Buck Rogers follow the model that theyve followed over the years beginning with Red Sonja, embracing the history of such classic characters, but giving them a modern edge for todays audiences! All this, and for a quarter to introduce you to the new canon of Buck Rogers!